I am in AWE with this trio of AWE Cosmeceuticals AWE someness. Ok I’ll stop now 🙂 Let me give you a bit of history on these products. AWE Cosmeceuticals is an Australian owned company that delivers high quality, medical grade skin care solutions based on extensive Ayurvedic studies and the latest western scientific findings in a range that is both ethically produced and packaged. Sounds great right? After hearing rave reviews about their products I had to go and hunt them down. Thankfully I did because I’ve noticed a change in my skin over the past few weeks and I think the combination of these products have helped a lot with my acne and has given me more radiant looking skin. This gentle cleanser feels very calming on the skin, perfect for use first thing in the morning when my makeup has already been removed from the night before. The pump bottle is simple, convenient and easy to use. It has a subtle scent and a tea coloured almost gel like consistency. I recommend wetting the face before massaging on to the skin to get a decent lather. This cleanser is suitable for most skin types. After cleansing my face with the vimala cleanser I use this skin polish. 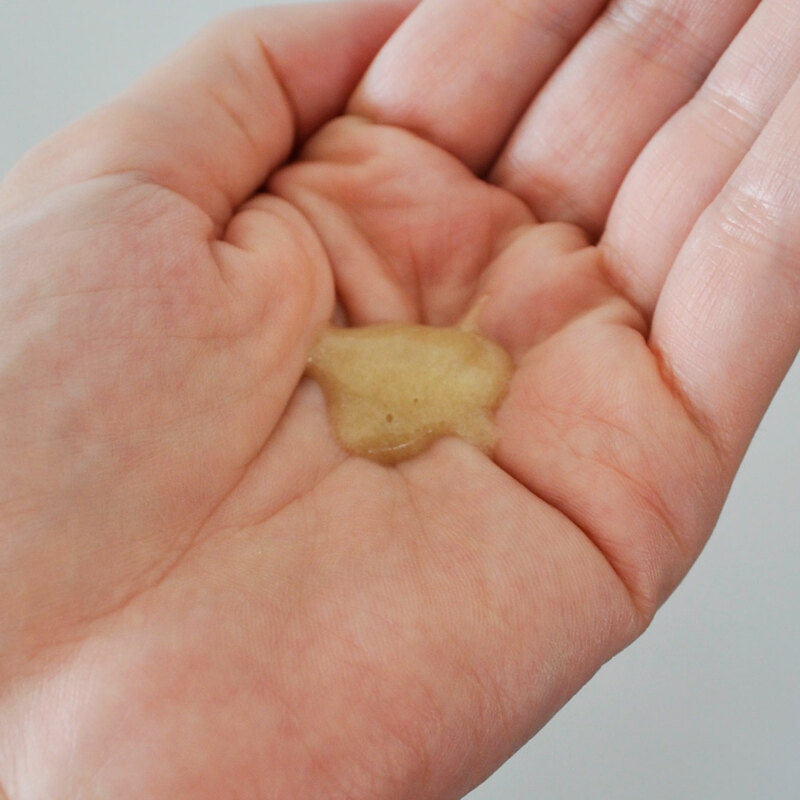 The granules in the exfoliant are the perfect texture as they’re not too soft or too harsh. The results have been noticeable, my pores appear smaller and whenever I use this I automatically feel that my skin is smoother. This has been the hero product for me as it stood out from the rest of the pack. You dont need to use much at all, I often spot treat in addition to applying it all over my face. This serum targets a lot of my skin problems and is gentle, calming but most importantly it has been my miracle acne fix. This cloth is what I imagine a cloud would feel like, it’s soft and un-dyed. The Bamboo is anti-microbial and suitable for most sensitive skin. Ideal for oily skin conditions, congestion, acne and acne rosacea. It contains a trial size 30ml vimala Gentle Cleanser, 30ml samskrta Skin Polish plus a full size 30ml amala Clearing Serum, with a bamboo face cloth, all packaged in a beautiful jute paisley print bag. The perfect gift or suitable size for airline travel. Never heard of this brand before but definitely sounds very interesting! Thank you so much for sharing! Hi Yvonne, I am so impressed with their skin care products! I haven’t tried anything like it before. Sound good, I love to try it? You can purchase their products from their website.